Some students may have grafittied the Royal Canadian Legion cenotaph in Niagara Falls. The bell is associated with the birth of the Métis nation and it’s missing. A translated version of a similar piece. About the poor rate of recovery of looted antiquities. The sword was a gift from the original Toledo in Spain and had been taken about 80 years ago. Among other things, Reed is accused of misappropriating private funds which he used to buy artefacts. The museum was contacted by HSI after a second leaf stolen from the same manuscript appeared on the Swiss market. They were stolen from the church of Saint Lucia. It is unclear under what circumstances any objects from Syria and Iraq would come to this new storage facility. I believe “may” is the important word here. He originally said Picasso and his wife gave him the art. Now he says it was just Picasso’s wife. 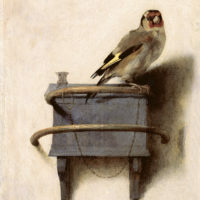 The electricians statements now say that the artist’s widow was trying to hide the works from the artist’s son Claude. The National Archives (US) has copies of Eva Braun’s home movies, but where are the originals? They don’t really know. One of the suspects was arrested at an Athens hotel as he tried to sell a piece. It’s meant to be an edgy painting but, really Facebook? Again? Princely Collections of Liechtenstein says the Cranach is real. 12k works of art are missing in Spain. Only 10 to 15% will ever be recovered. The stones were taken from Hartshill Castle and it is hoped that security will be improved. The new rules replace a 2003 temporary order. This might be interesting to watch. The fibreglass Durga was only two years old, still it was stolen by youths who said they had a place to sell it on. A number of stolen idols were seized from the home of French citizens of Puducherry origin. A variety of changes, including the making of a national-level database. Something to watch closely. MMCA says that Beautiful Woman by Chun Kyun-ja is just that, by Chun Kyun-ja, no matter what Lumiere Technology says. Note Chun Kyun-ja said it wasn’t hers. Apparently an Iranian nationalist demonstration at the tomb was broken up with activists detained. Fighting continues near some major heritage sites which have already experienced damage. It is said to have been looted from a cave in the Judean desert but questions have been rasied. An spin on a series of events at a UNESCO meeting. Are these early Christian metal books real or crude fakes? The Indus Valley Civ piece was found at Mohenjodaro in 1926 and taken to India by Sir Mortimer Wheeler prior to partition. They stayed in India.